The practice owners, Calum and Joanne Robertson, graduated together from the University of Queensland in 1986. 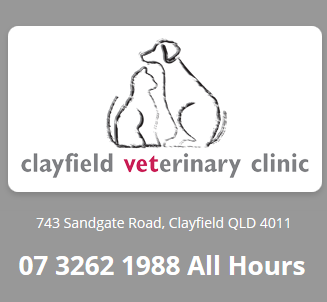 They first worked in small animal clinics in Sydney until 1989. A 3 year stint locuming throughout the United Kingdom then saw them return to Brisbane in 1992. Our Veterinary staff of 4 have a combined working experience of over 100 years in small animal general practice, enabling us to offer sound and sensible advice. We also pride ourselves on the fact that, if your pet is sick or injured, we are never "Fully Booked" : if we are open, your animal will be seen.